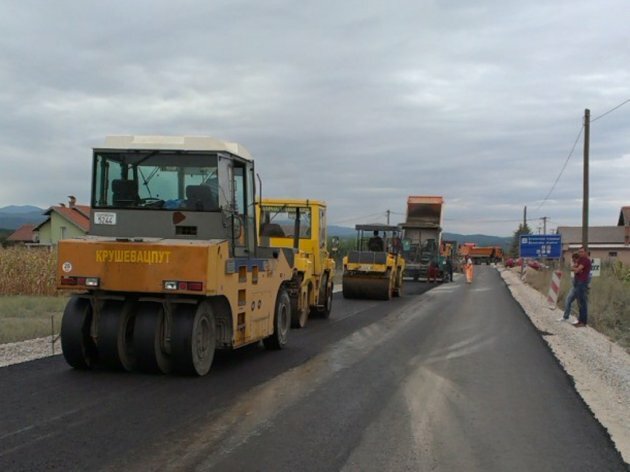 On Friday, August 8 2014, the construction of Obrenovac-Ub and Lajkovac – Ljig section of Corridor 11 and the representatives of the Government of Serbia as well as Chinese contractors expect the work to be done if possible even before the official deadline which expires April 30, 2017. A total of 26 km of the Obrenovac-Ub and some 23 km of Lajkovac-Ljig section should be constructed. The funds set aside for these works total USD some 333,4 mil. The Prime Minister of Serbia, Aleksandar Vucic, who attended the beginning of works on the Corridor 11 section said to journalists that he discussed with the representatives of the Chinese company, Shandong Highspeed if possible that the road becomes operational in early 2017. - In that case, it would be possible to get from Belgrade to Zlatibor for an hour and a half instead of three hours – Vucic said and pointed out this would be very important for all the citizens and users of that road direction. Talking with the workers and contractors as well as with the authorities, Vucic said there will be no extensions although an annex defines the options that the works can last until July 2017. The Minister of Construction, Traffic and Infrastructure, Zorana Mihajlovic, said that deadlines and work dynamics must fulfilled and that it must be finished, if possible, even before deadlines expire.